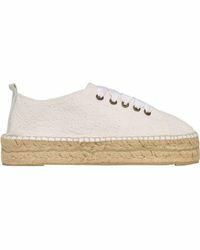 Inspired by chic, CÃ´te d'Azur lifestyles, Manebi boasts a varied selection of on-point espadrilles, handmade by expert Spanish craftsmen. 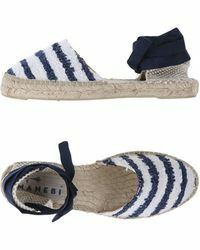 Perfect for all your summertime pursuits, Manebi espadrilles are available in an array of colorful cottons and suedes, often boasting unique details, such as embroideries and beads. 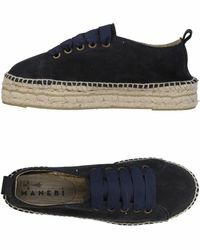 When it comes to cutting a sunshine-ready dash, look to Manebi shoes for pitch-perfect punctuation pieces. Whether you opt for something plain and austere, or go for something vibrant and adorned, Manebi shoes are a style-savvy investment in relaxed cool.